Well this week has gone by pretty fast! Things are going pretty good here and it´s crazy that we already had another transfer. 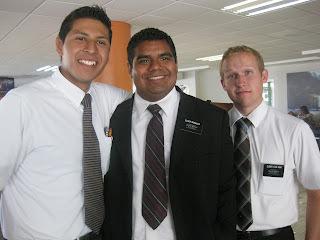 Today E. Rosales left for another area called Guamuchi (don´t know if I spelled that right) and I recieved E. Brandon from there. 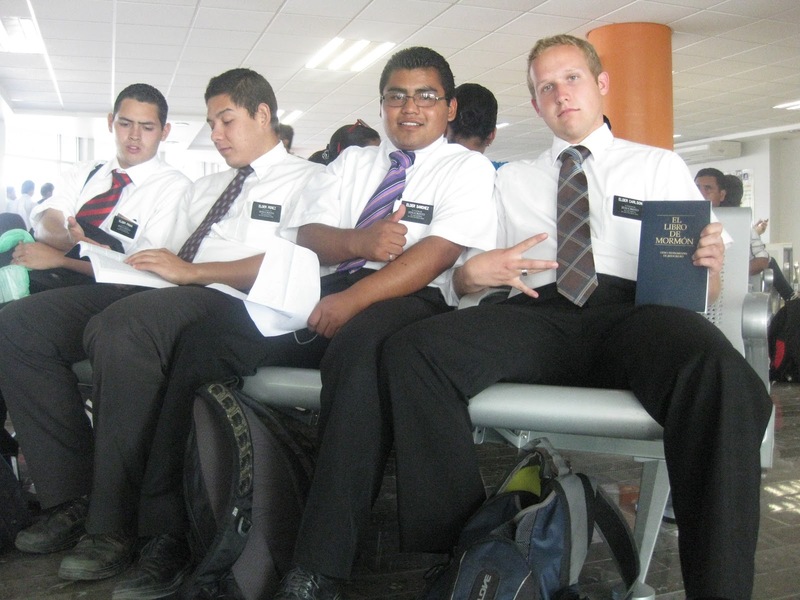 I´m with an american again, and he´s from Utah. I´m excited about this transfer and think things are going to go really well. He seems like a pretty awesome guy. It was really weird speaking english to him though, but cool at the same time ha. My spanish has gotten a little better than I think I thought but at the same time it makes the way I think about things in my mind all crazy. The young man that´s going to serve his mission in Boston, Allan Jones, in our ward is really excited about serving his mission. It´s cool being able to talk to other guys who are preparing to serve missions and remembering when I was there. He´s the only member in his family and his mom assited church for the first time this sunday. She said she´d come but she´s not going to get baptized haha. She´s pretty awesome though and I´m hoping we can teach some lessons with her at some point. Besides that we don´t have a ton of people we´re teaching right now. There´s still Hermana Alba and her daughter Olivia who we are teaching but we haven´t really talked about her getting baptized for awhile because she´s had a few doubts about things. I´m excited for all the new things that I am learning but it always makes me realize how there is SO much I don´t know still! I love learning about things in the gospel and it helps me have a better perspective on life and the eternal scheme of things. I hope to be able to become more christlike through my experience here and to work on a few of my many weaknesses. Thanks for all the support. We all have weaknesses but that´s what makes us human! When we recognize the need of having God, our Heavenly Father, and begin to understand the importance of his son Jesus Christ things become a lot more clear and easier to handle. Love you all and hope you have an awesome week! 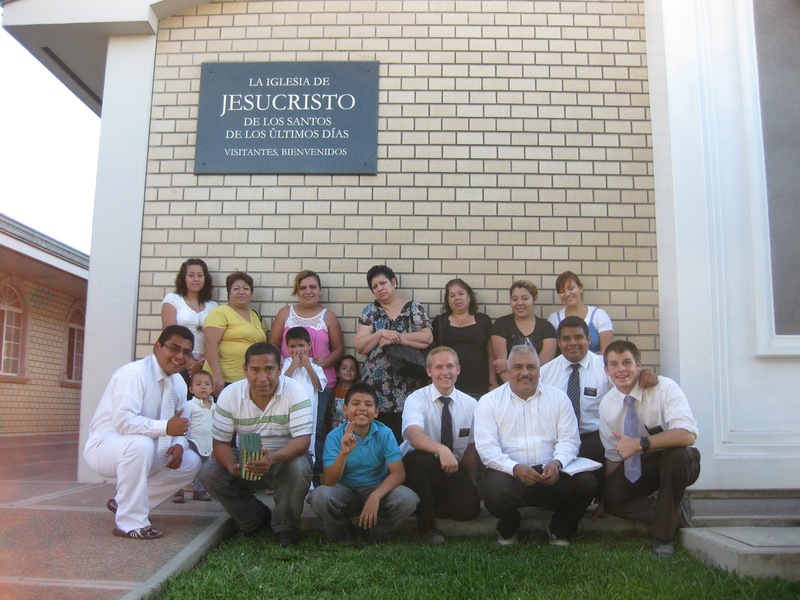 We assisted a baptism of the other ward in our building, Juarez.. The other 2 photos are from today in the Central de Autobuses... I don´t have a picture with my new companion yet.